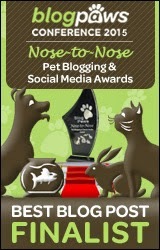 If you hadn't noticed yet, Pawsitively Pets has been sponsored by Toby & Max Jewelry for several months now. You can see their cute little ad in our sidebar. Since I haven't talked about Toby & Max in a little while now, I thought I'd let you all know that they now offer a couple of new jewelry pieces for cat lovers! You see, in the past Toby & Max mostly offered jewelry for dog people. 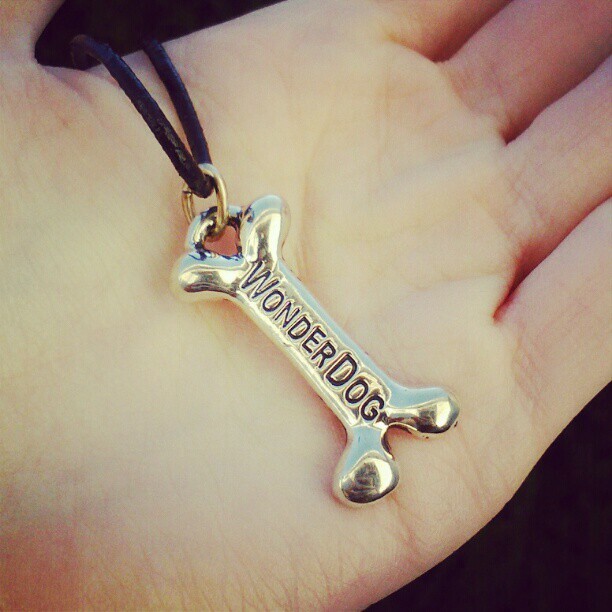 Here's my beautiful "Wonderdog" pendant necklace from them. The back says "my dog is my". 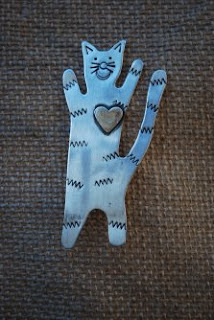 In recent months, they've included some whimsical pieces to their collection which are perfect for cat lovers. 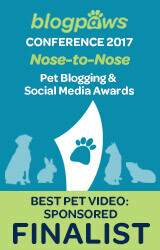 Oh - and did I mention that ALL of their dog and cat pieces are on sale for 20% off through Sunday? Here are some of my favorites from their Cat Lovers collection. This is the "Love Me Love My Cat" pin which is on sale for $38.40 right now. The letters are hand stamped in sterling and it's made in America, of course. 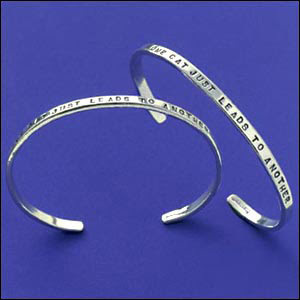 This is a solid sterling cuff that reads "One cat just leads to another". I love this phrase! The "Happy Cat" pin is sure to bring a smile to your face. It's a sterling pin with a bronze heart that stands 3" tall. It's on sale for $52 right now. "Sandy Comstock, owner & designer of Toby and Max Jewelry, is inspired by words and phrases that bring people comfort, humor, and a belief in themselves. The uniqueness of her designs has brought about a large following of devoted collectors." 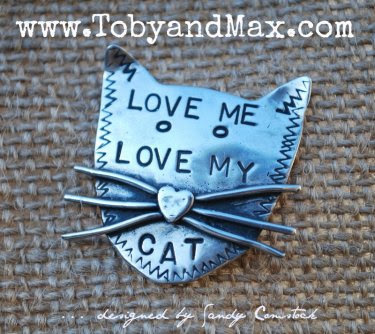 I encourage you to stop by Toby & Max's website and take a peek at what they have! You can also follow Toby & Max on Facebook to get the latest updates from them. 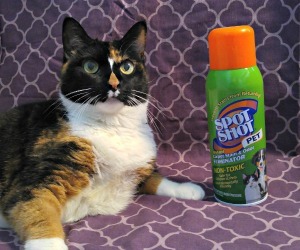 OMC! TW cringed at the prices but we're sure they're affordable to those who have jobs. They're cute but one cat doesn't lead to another in this house. MOL! The wonderdog bone is just beautiful - would be a nice gift for my staff, because they are wondering always about me. Have a great weekend! Wow, those are some great items. Wish I had the money to get one or two as gifts. Have a great week end. LOVE that "Love me love my cat" pin! !